UC Agriculture and Natural Resources will be offering a three-day, multi-topic Pistachio Production Short Course on Nov. 14-16, 2017. Held in Visalia, this course will provide participants with the latest information and research from several UC experts on pistachio orchard production, field preparation, planting, pruning, economics, diseases, integrated pest management, and harvesting. The course is designed for orchard decision makers, and covers the latest scientific research that supports current and developing pistachio production practices, including regional differences. The short course will take place at the Visalia Convention Center at 303 E Acequia Ave in Visalia. Registration is open and offers at a three-day package that includes a light breakfast and lunch each day. Discounted early registration ends Oct. 23, 2017. Register at http://ucanr.edu/registration2017pistachio. Visit our website to see the latest information and to sign up to receive email notices http://ucanr.edu/sites/PistachioShortCourse/. If you have any questions, please contact Kellie McFarland at (530) 750-1259 or anrprogramsupport@ucanr.edu. 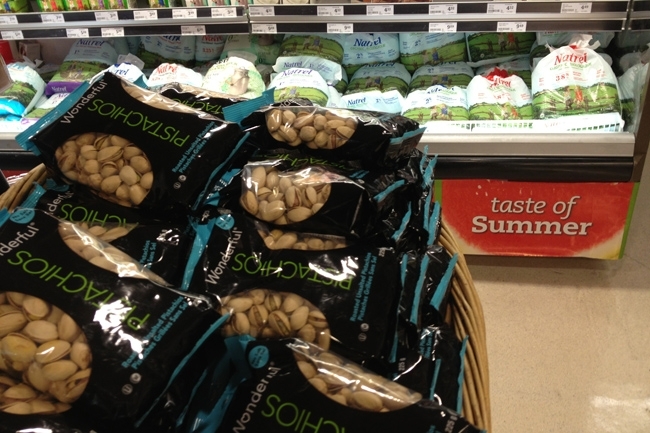 A Canadian grocery market sells California pistachios (foreground) and milk in bags (background). While visiting my brother in Toronto this summer, we stopped by a grocery store and I was struck by two things: pistachios and milk in bags. Stacked high in the back corner were bags of California pistachios – a reminder of how prominent a producer the Golden State is and a sign of the marketing power of its largest pistachio processor, Paramount Farms. The United States is the world’s leading pistachio producer, and 99 percent of the country’s crop comes from California. 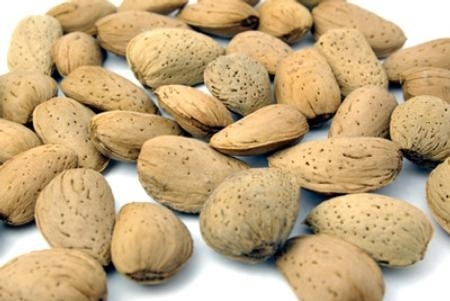 Pistachios are California’s third-biggest nut crop, behind almonds and walnuts, and the state’s sixth-leading agricultural export, with markets spanning from Canada to China. 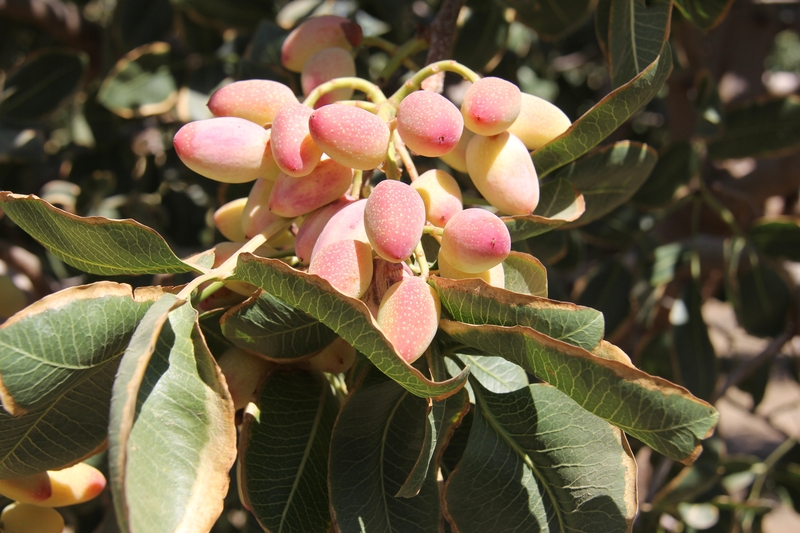 To help continue to improve production, the pistachio industry is turning to the University of California. In January, the California Pistachio Research Board announced it will donate $1.5 million to support a UC Cooperative Extension specialist to conduct nut and fruit disease research. This specialist position will help UC Agriculture and Natural Resources fulfill its mission as well as serve the pistachio industry’s needs. UC research plays a key role in keeping California the nation’s leading agricultural state. Partnerships such as the one with the Pistachio Research Board – and previous ones with the California Rice Research Board and California Table Grape Commission – represent a new funding model to extend that role. On the dairy side, California is known for happy cows; eastern Canada is known for bagged milk. Yes, milk is sold in bags of three, each 1.33 liters. My sister-in-law likes the bags because the packaging is more environmentally friendly than plastic jugs. You even can purchase specially designed pitchers for dispensing bagged milk. The key is cutting the tip of the bag properly, so it can pour smoothly – not too slow and not too fast. It’s an interesting concept, but a little messy. Will milk bags catch on in California? I think that will be a tough nut to crack.